A barred straw moth (Eulithis pyraliata) resting on a bush in a calcareous limestone habitat. A member of the geometrical family distinguishable by the forewings held over the back wings when resting. 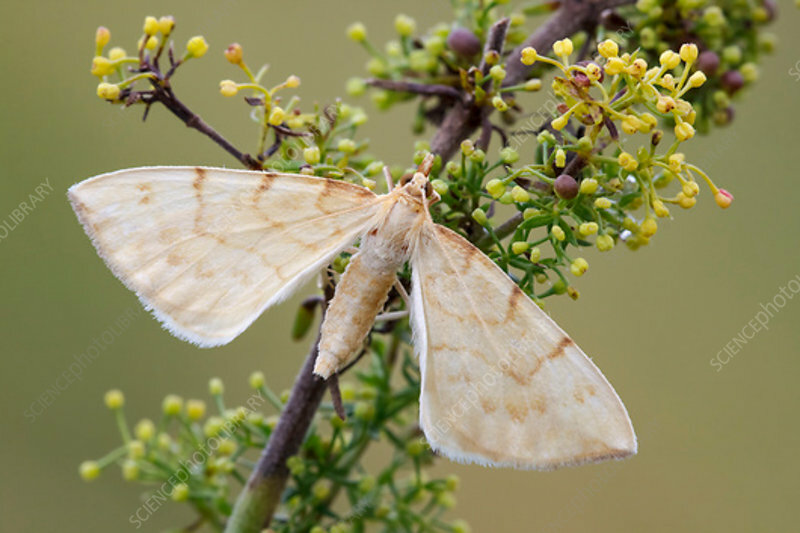 This moth is found in mostly grassland type habitats across the UK and the palearctic region. The caterpillars feed on bedstraw. Photographed in Somerset, UK, in August.